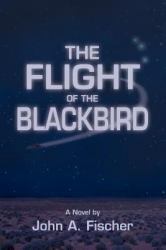 The Blackbird. Some said it was a living legend; others, a myth. To Captain Jason Kent and his love Deany Summers, it was their only hope. When their homeland of California, one of five city-states established after the Great War, is threatened by General Salvador Drone, ruler of the savage Empire of Dodum, Jason, Deany, and five fellow soldiers set off on a mission to meet that memory of the misty past promising release to their war-weary civilization. If they succeed, they will restore peace to their home. But if they fail, then they and all that they love will be enslaved under Drone’s vicious tyranny. Jason and his platoon know the dangers that await them. Yet their greatest enemy lurks among them; for when their plans unravel, they do as well, until they begin to doubt their mission, their way, and their commander. Struggling to keep the quest alive, Jason pushes forward, knowing that he must find the answer to their prayers, the mystery behind the legend, the power of the past—the Blackbird.